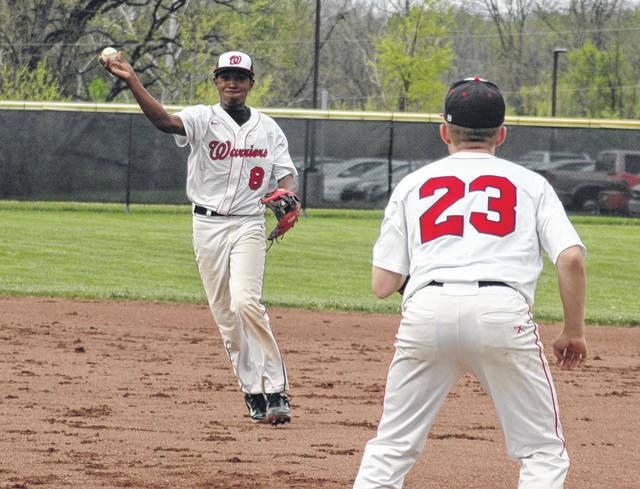 Senior Jordan Long (left) will either play shortstop or second base this year for Wayne. 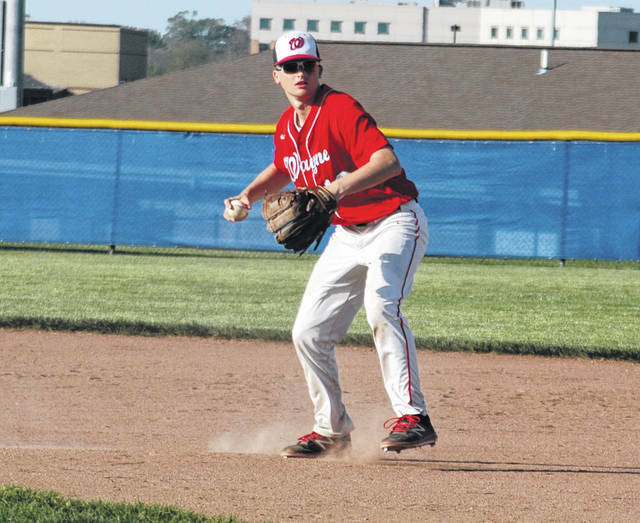 Junior Kaleb Stines is slated to play shortstop, second base or centerfield for the Warriors this year. March 25 Chaminade-Julienne 5 p.m.
March 27 at Troy 5 p.m.
April 4 at Miamisburg 5 p.m.
April 6 at Dayton Christian 11 a.m.
April 9 at Bethel 5 p.m.
April 11 Bellbrook 5 p.m.
April 18 Lebanon 5 p.m.
April 20 at Tecumseh 11 a.m.
April 22 Fairmont 5:30 p.m.
April 23 at Fairmont 5:30 p.m.
April 24 at Xenia 5 p.m.
April 27 Bishop Brossart, KY 11 a.m.
April 27 Bishop Brossart, KY 1:30 p.m.
May 6 Fairborn 5 p.m.
May 11 at Stebbins 4 p.m.
HUBER HEIGHTS — With only two returning starters from last year the Wayne varsity baseball team hopes to achieve success this season with virtually an entirely new lineup. 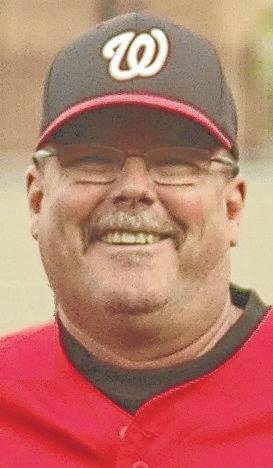 Wayne head coach Joe Yount, who spent 10 years as head softball coach, enters his seventh season leading the varsity baseball team. He anticipates some of his younger players to do well in 2019. Junior Kaleb Stines is one returning starter. He is slated to play shortstop, second base or centerfield depending on what other players step-up to fill positions. He will also pitch. Caleb Mervar, also a junior, pitched last year and will also play infield. Other players in the pitching rotation include juniors Garrett Valentine, Matt Sexton and Riley Duchesne. A few sophomores that Yount says have been fairly impressive so far are Zach Stevens and Connor Fiegly. Stevens will also play outfield and Fiegly will see action in both the outfield and infield. As far the fielding positions, Yount said players are still battling for starting positions. Another senior that got some varsity playing time last year is Jordan Long, who will either play shortstop or second base. Another senior, Mason Wonderly, who hasn’t had any varsity playing time has been the team’s most consistent hitter so far this spring and has done a good job chasing fly balls down in the outfield. Another senior Yount has high hopes for is Ryan Smith (third base/catcher) who is a decent hitter, but is untested at the varsity level. Sophomore Michael Barnes (second base/pitcher) is a talented player and is very good defensively. Senior Cameron Walker (infield/outfield) will be a utility player with good speed. Sophomore Julian Stiner (first base/third base/pitcher) has a big bat and is a talented player also expected to contribute to the team’s success. Players that will see action on both the JV and varsity teams include junior Tyler Collis (pitcher), junior Ethan Crace (pitcher), sophomore Noah Cain (catcher), freshman Zion Pleasant (catcher) and freshman Matt Rehmert (pitcher). The Warriors open the season at home on Monday vs. Chaminade-Julienne at 5 p.m., play at Troy on Wednesday and head to Sidney on Saturday (noon).